As an Alfa Insurance agent, I've come to know many local families. 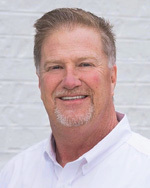 My understanding of the residents of the LaFayette area has helped me provide them with the superior service they deserve from their hometown Alfa agent. Alfa Insurance has been a great career for me. I truly love working with people to cover all their insurance needs. I have made many new friends, and that is the greatest gift I have received during my career. Over the years with Alfa Insurance, I've helped many families protect what's most important to them. Be it auto, home, life or the many things in between, I'd like to do the same for you.